Celebrating the beauty of the fall season in Massachusetts is something that appeals to all ages and interests! There’s no denying that Lexington’s historic charm is magnified with the brilliant blue skies, changing leaves and crisp autumn air. It’s a time of year when the community takes advantage of the beautiful weather and gathers with friends, family and neighbors to enjoy all that Lexington has to offer. As a Lexington Real Estate agent, I’m passionate about the Lexington lifestyle and helping people discover their ideal place to settle in, that they will cherish for years to come. My goal is to not only help people navigate through the Lexington home buying process, but to ensure they get to know the Lexington community. This holistic approach allows buyers to feel instantly at home in their new Lexington residence. Whether you’re hoping to buy a home this fall in Lexington, or are a current Lexington resident; you’ll want to get out this weekend to connect within the community! It seems there’s always something to do and this weekend is no different! Check out these three free events! - Join in the Celebration of an Exhibit of Paintings, Pastels, Metalsmithing, Ceramics, Polymer Clay and Beaders, Woodworkers, Basketry, Needle Arts, Decorative Arts, Chinese Calligraphy and Brush Painting, Mixed Media and Weavers created by the nationally known talented artists available to you for instruction at the Society. This event is free and open to the public! 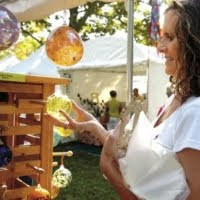 - The Lexington Chamber of Commerce is pleased to host its annual Autumn Arts & Crafts Festival this Saturday! This popular free, fall event features nearly 100 exhibiting artisans displaying their hand-crafted works, including: Ceramics, Jewelry, Woodwork, Paintings, Photography, Fiber Arts, Glass, Wax, and more. Support local artists and mix and mingle with neighbors at this much anticipated event! - A highlight of our Lexington historic past, the Munroe Tavern will be hosting it’s grand re-opening this weekend! With renovations completed, everyone is welcome to come view the changes that have taken place as well as showing support for the dedication of the Elsa O. Sullivan Program Center. Don’t miss out! I hope you’re able to take part in one, or all, of these events this weekend in Lexington! These types of gatherings bring about a sense of community and build into what makes Lexington such a great place to call home! If you are thinking of moving to Lexington, and have questions about the Lexington Real Estate market, buying a home in Lexington or are ready to begin your home search; please let me know! I’d be happy to meet with you and help you throughout each step of the home buying process. 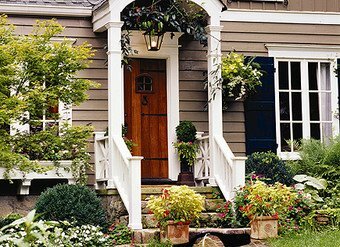 HGTV is gearing up to shoot a brand-new landscaping series on Cape Cod and in Los Angeles this October, and lucky homeowners selected will get a dramatic yard makeover at little or no cost. We're looking for people who would love to entertain outdoors, but have a really ugly yard. We'll get your yard turned around in just one week. If this sounds like you, then apply now by sending an email to landscapecasting@magneticproductions.com and include photos of you, your family and yard, plus details on you upcoming event. Even though they won't be in Lexington MA, you may know someone in Cape Code or Los Angeles that can take advantage of this offer so pass it on! Buying or selling a home in Lexington MA can be complicated enough but add in the lingo and you may feel like you are listening to a foreign language. Here are a few real estate terms decoded. Assessed Value- Assessed Value is the valuation placed on property by a public tax assessor for purposes of taxation. Closing Costs –Closing costs are all of the miscellaneous expenses paid by the buyer and the seller when a real estate transaction closes. These costs can include real estate commission, mortgage fees, attorney fees, transfer taxes, recording fees, and title insurance. CMA –CMA is short for comparative market analysis or competitive market analysis. A CMA compares the prices of homes sold, homes currently on the market and homes pending to a subject property. A CMA may be prepared for a buyer or a seller to determine market value. The CMA accounts for style, size, location and other factors that make the homes comparable. Contingency – A contingency is a provision of an agreement that keeps the agreement from being fully legally binding until a certain condition is met. Common contingencies are a buyer’s contractual right to obtain a professional home inspection before purchasing the home or obtain mortgage financing. Deed-The deed is the legal document conveying title to a property. Earnest Money Deposit- The earnest money deposit is a deposit made by the potential home buyer to show that he or she is serious about buying the house. This is typically made at the time of the offer to purchase. Lock Box – A lock box is a secure key-holding device. It is used to hold a key for a home that is for sale. This allows cooperating real estate professionals to gain entry into the home. Entry is usually granted after obtaining permission from the listing agent or office. MLS – The MLS or Multiple Listing Service is an organization that collects, compiles and distributes information about homes listed for sale. Real Estate brokers are members of the MLS. Membership is not open to general public. 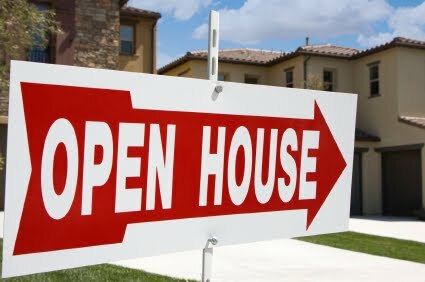 The MLS is used for real estate professionals to share information about homes for sale to other agents. MLS boards are local or regional. There is no nationwide MLS. Short Sale- A short sale is when the seller arranges with their mortgage lender to accept a price that’s less than the amount they owe on the property. The lender typically agrees to forgive the rest of the loan. 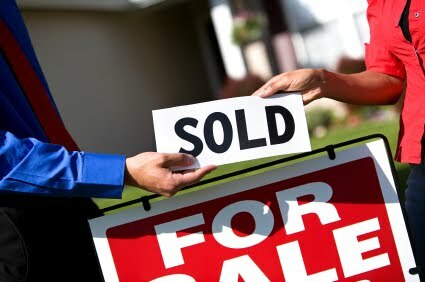 A short sale arrangement is made between the seller and the mortgage lender. Title Insurance – Title insurance is an insurance policy that protects the lender’s or owner’s interest in real property. Title insurance as it is named protects against claims against the title or from unexpected or fraudulent claims of ownership. Buyers typically pay to pay for the lenders title insurance policy as part of the closing costs. Getting kids up, fed, dressed and out the door without a fight seems like asking too much, but it can be done -- or so I’ve heard. The first day of school has come and gone here in Lexington, but most of us are still working out the kinks of the morning routine. Let’s face it, it isn’t easy getting kids to do what you want in a short time frame, especially when they would rather play or, if they are older kids, sleep. I would rather do the latter, but would also rather not deal with the, “Why can’t you just get your kid to school on time” look from my kids teachers, so I have tried to perfect the art of the wake up. I think we all know the basics by now, right? Put them to bed, get them up at the same time everyday and don’t stray too far from that time on the weekends. Check. Pick out their clothes the night before and have a backup plan when little Sally decides it isn’t cool to wear purple anymore and Nick spills oatmeal all over his shirt. Make lunches the night before so you can grab a shower in the morning and hope the kids don’t resent their soggy sandwich too much. Or, just let them buy the cafeteria food and be thankful Lexington Public Schools actually have decent food choices. Get the back packs gathered by the door with all of the assigned work done and checked. We all do this already, so why the headaches each morning? This is where I should tell you the answer, but I don’t have it ... yet. I can only tell you what has worked well for me, with only minor incidents from time to time. 1.) Turn off the TV! It’s like pouring molasses all over you child. It slows down everything. This was one of the last things I did in my effort to make mornings easier and it has worked very well. My kids looked at me like I had four heads the first morning and still occasionally ask to watch a show. I used it to keep them quiet while I got breakfast ready and for a moment to wake up. Now, they just find something to do and know better than to mess with Mommy in the morning. 2.) Have a go-to school day breakfast. This seems obvious, but I do have friends who I respect and adore who make French toast, omelet’s and other weekend-style breakfasts for their kids on school mornings. Are you crazy? There are a handful of really quick, super nutritious breakfast ideas that will do the job. We cook plain oatmeal (to control the sugar) and add flax meal, wheat bran, cinnamon and a drop of honey, and the kids are perfectly content with that. The weekends are when I bring out the big guns. They know that and don’t question it. I ran across a nice array of breakfast ideas recently on Parenting Magazine's website. I am definitely doing the morning milkshake and the banana chocolate chip bread -- even if it is only for me. 3.) Don’t try anything new in the morning. This is a good one for all of us but especially those of us with girls. Have you heard this one before, “Mom, Peggy Sue wears great double French breads every day. Can you do that now?” Um, no. I can’t do it now and I probably never can. The time for trying new hairdos, outfits, food, etc., is not when you are running 10-minutes late for school. Do it on the weekends or that rare time when the kids wake up before sunrise and your coffee has kicked in. 4.) Finally, give yourself and your kids a break. Mornings are messy. There is a reason why it sounds just like the word that means to express sorrow or grief: Moms are feeling sorrow and the kids are giving us grief. Have a morning plan.Tell your kids the plan and expect it to happen in some form each day. After all, as long as they are dressed, fed and get to school on time, you are one step ahead of the game. Prepare Your Lexington Home for Fall with These Top 10 Tips! I hope you had a great Labor Day weekend in Lexington! It’s hard to believe summer is drawing to a close and that we’ll soon be feeling the cooler weather of fall. This coming season is beautiful in Lexington with the vibrant leaves, crisp air and vivid blue skies and is a favorite time of year for many Lexington residents. While the warm weather may make it hard to start thinking about shorter days and cool evenings, making sure that your Lexington home is fully prepared for the lower temperatures can save you time and money in the long run! I've gathered the top ten tips you can do now to get your Lexington home ready for the fall season. Take a look! 1. Air Out- Soon enough your home will be closed up as the Lexington days get cooler, so take the time to air out your home as much as possible this fall. The fresh air will help minimize mold, asthma and allergies in the coming fall and winter months. It will also help save on your heating and cooling bill! 2. Check the Chimney- Curling up next to a cozy fire in your Lexington home may just be one of your favorite activities later this fall and winter. You’ll want to check your fireplace and chimney now to ensure that they’re properly cleaned out and that the vent is closed when not in use to prevent heat from leaking out. 3. Replace Air Filters- This is a very important step since it will help your heater work more efficiently and you won’t worry about recirculating mold and allergens into your home. Replacing the air filters will improve your indoor air quality for the colder seasons. 4. Seal Any Leaks- Making sure that any cracks in door or windows are sealed with caulking or weatherstripping will keep your home airtight. Keeping the cool weather out and the heat in will cut down on your energy bill and keep you comfortable. 5. Check Your Batteries- Be sure to check and replace all batteries in your smoke alarms and carbon monoxide detectors. 6. Clean Up Your Garage and Tools- You’ll want to clean up your summer tools as well as your lawn mower to keep your garage organized and keep your tools in good shape. Once the spring hits, you’ll know where everything is and be ready to start back up with your lawn care. Empty the gas out your lawn mower or blower by using them till its used up and replace oil in your mower so it starts easily next year. 7. Store Your Garden Hose- Drain out your garden hose completely and store it in the garage to prevent it from cracking or freezing. 8. Clean Out Gutters- Lexington has a beautiful tree-filled setting, but this can mean that your gutters and downspouts can fill up quickly with leaves this fall. You’ll want to check these a few times this season and make sure they’re completely cleaned out before winter. 9. Inspect Your Roof- Before the fall rains come to Lexington, be sure to check your roof for loose or missing shingles. If you have a satellite or antenna on your roof, make sue it’s sealed well to prevent any water or air leaks. You’ll want to be aware of any issues in your roof now so you have adequate time to get it fixed. 10. Insulate Your Attic- Hot air will rise and if your attic is not properly insulated, you can lose money and waste energy trying to keep your home heated this fall. Check to see if there is enough insulation in your attic floor and add more if needed. I hope you find these tips helpful as you get ready for the beautiful fall season here in Lexington. You’ll be glad that you took care of any issues early on and will be able to relax in your Lexington home once the cool fall days arrive! If you are not currently living in Lexington, but have been considering a move to the area; let me know! As a Lexington Real Estate agent, I enjoy walking with people through the entire process of discovering Lexington, finding their dream home and moving in! Please feel free to contact me anytime with questions you may have about the Lexington Real Estate market or to begin your Lexington home search. Have time to help out a homebound Lexington senior? - Even an hour a month will be helpful to these groups. FISH of Lexington provides free rides for residents to medical appointments in Lexington and vicinity, and in Boston. Drivers volunteer to drive residents one day a month to their medical appointment. For more information call 781-862-3293. Meals on Wheels is looking for substitute and permanent drivers to deliver meals to homebound Lexington seniors. For details call 888-222-6171. Minuteman Senior Services is seeking volunteers to serve as a friendly visitor or shopper for homebound Lexington seniors. For details call 888-222-6171. A 45 minute excerpt of the movie followed by a discussion led by Beth Murphy, Producer and Director of Beyond Belief. On Sept. 11, 2001, the lives of two young mothers living in the Boston suburbs were changed beyond belief. Both women lost their husbands in the terrorist attacks on that unforgettable day. Rather than turning inwards, grief compelled the women to travel to Afghanistan to help empower Afghan women whose lives have been ravaged by decades of war, poverty and oppression. As they make the courageous journey from their comfortable suburban neighborhoods to the most desperate Afghan villages, they discover an intense bond with each other, and also a powerful kinship with widows halfway around the world. This film, Beyond Belief, is the story of these two amazing, courageous women and their mission of compassion, peace, and hope. Khaled Hosseini, author of The Kite Runner has described this film as "moving and beautiful." It is a powerful, inspirational, and profound film which shows us all the way to move beyond tragedy. After screening a 45 minute excerpt from the film, we will be joined by the film's director. Beth Murphy is a documentary producer, director, author and university professor. In 1999 she founded Principle Pictures, an independent film company committed to giving voice to the voiceless, raising awareness about important social issues, and inspiring education and action through entertainment. She has led production crews to all corners of the world, often in war-torn or developing countries in order to focus on human rights and international issues. Beth will lead a discussion about her experience in making Beyond Belief, and answer your questions.